The screen is split. The split is created by displacements in time. 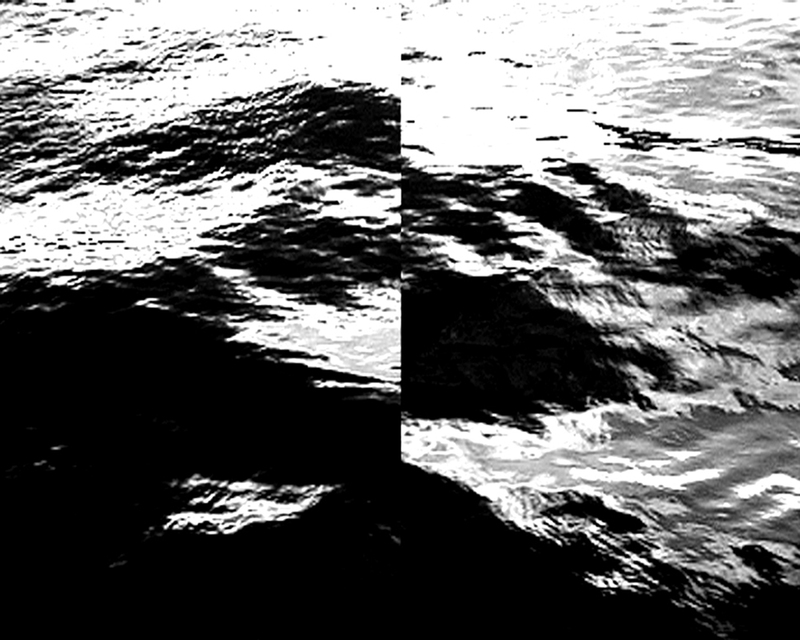 In between the two parts are synchronizing and the uniform image of a water surface is appearing.